Smart Tracker, IoS³ Pforzheim University of Applied Science. Solar tracking with Ethernut 5. Solar panels that follow the sun's position can raise energy output by 45%. The Insitute for Smart Systems and Services (IoS³) at the Pforzheim University of Applied Science has introduced a system for conducting research on controlling concepts and tracking methods at the Hannover Messe 2014. 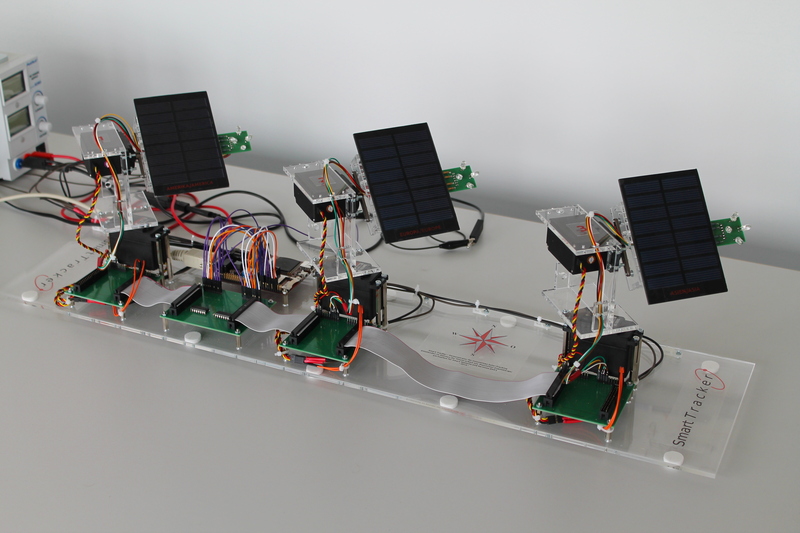 Smart tracker uses Ethernut 5 and employs two strategies for adjusting the panels: Astronomical tracking uses the calculated position of the sun, sensory tracking find the brightest spot at the sky. The method used is chosen situation-dependent. The system works largely autonomously. But as it is connected to cloud services, controlling over Internet is possible as well. 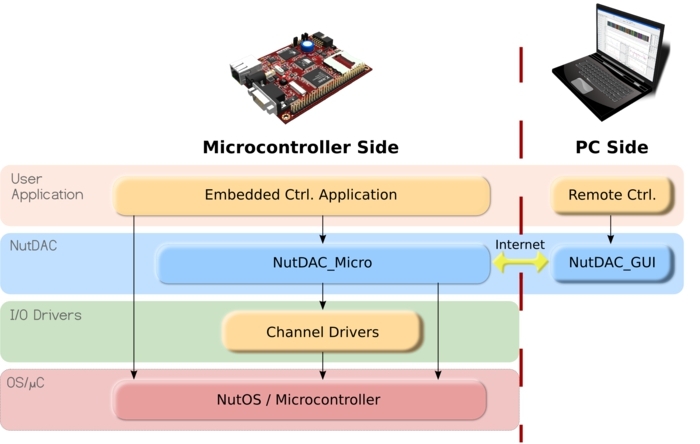 NutDAC is a framework to combine Nut/OS based embedded systems with graphical user interfaces. That makes it possible to control such system from and to process collected data on a PC. The system consists of the components: NutDAC_Micro is a collection of C-libraries that add an abstraction layer to low-level microcontroller functions and provides access to them via I/O channels. On PC-side, NutDAC-GUI provides classes for the graphical representation of those channels in Java. NutDAC arose from the PEM Fuel Cell Research-Project at the Automation-Technology-Laboratory of the Aalto University in Helsinki and was used to develop fuel cell management systems.